CGE tried very hard to come up with a satisfactory design using only welding as the means of assembly. The angled bearing pads were welded at two points. 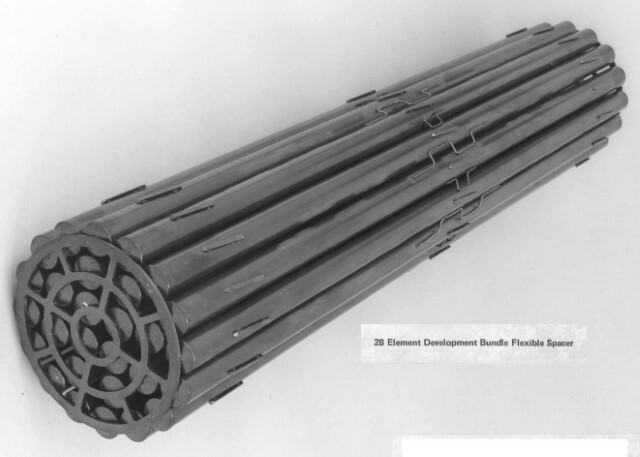 The flexible spacer did not survive irradiation or endurance testing. The lack of redundancy in the bearing pads received a negative point in the design review. The end plate design changed again.